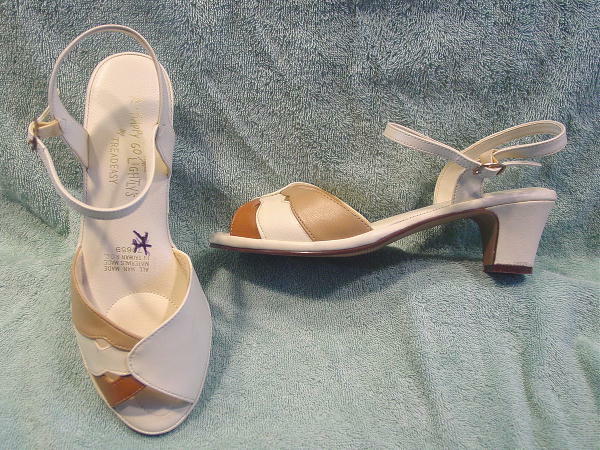 These bone color ankle strap vintage sandals are all manmade materials and are by Happy Go Lightly's by Treadeasy. They have lightly padded footbeds, also in a bone color. The outer front has accent panels in cocoa and golden brown. The shoes were only worn several times, but haven't been worn in years.